As India jumps late on to the AI bandwagon, will it be able to play catch up? India hopes to follow China’s example to become an artificial intelligence powerhouse. “It’s extremely encouraging to see the government recognise the need for research in cutting-edge technologies,” Subrat Kar, CEO and co-founder of Noida-headquartered video intelligence platform Vidooly, told Quartz. Niti Aayog’s support will “allow us to indigenously develop technologies on par with our Silicon Valley counterparts, and reduce dependency on them,” Kar said. Niti Aayog, led by CEO Amitabh Kant, has been a key promoter of various digital campaigns in the country, including the massive biometric programme, Aadhaar, and the India chain project, which is creating blockchain infrastructure to support IndiaStack, a set of codes developed around Aadhaar. That’s why the AI initiative has charged up technology companies. Meanwhile, the department of science is also set to launch centres of excellence investing in research, training, and skilling in digital manufacturing, big data analysis, quantum communication, and internet of things. Yet, all this may have come a little too late. leads the pack, thanks to decades of public and private investment. Over the last five years, San Francisco’s Bay Area, in particular, has attracted 41% of all global investments in AI, according to China-based Synced Review. It helps that the US is home to institutes that champion AI research such as Stanford University and Massachusetts Institute of Technology and the world’s biggest tech companies like Facebook, Amazon, Apple, and Google. To play catch up, India is following its neighbour’s footsteps. “Arguably, China has set the example for India,” said Kartik Hosanagar, professor of technology and digital business at University of Pennsylvania’s Wharton School. 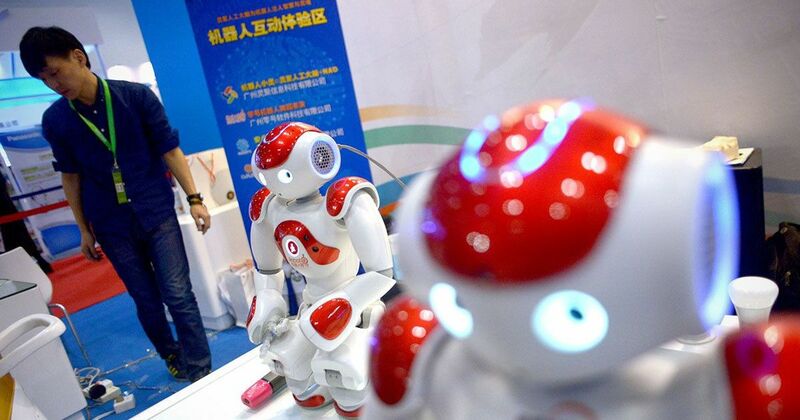 Last year, the Asian nation laid out an AI development plan, outlining goals for the next three years and a blueprint for its strategy until 2030. Not only are its local players, including search giant Baidu, taxi company Didi Chuxing, or internet firms Alibaba and Tencent, spending aggressively on AI, global companies like Google have also set up labs there. India isn’t faring badly, though. 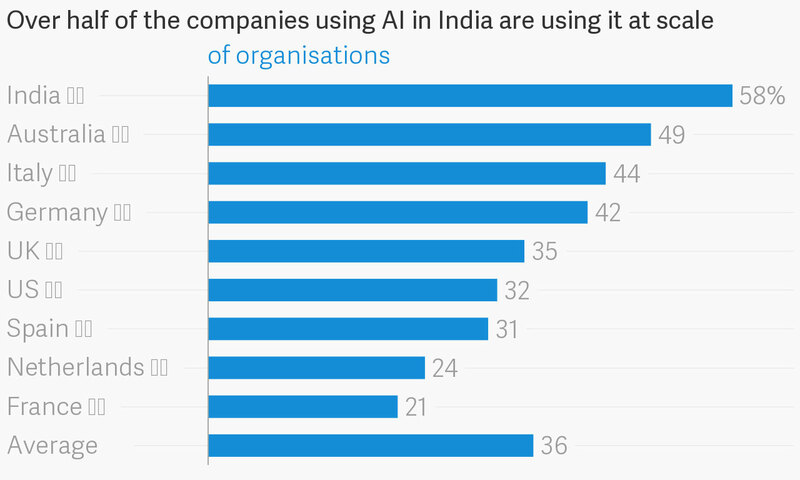 Over half (58%) of the companies using AI in the country work at scale, beyond pilot and test projects. However, the sector is dominated by American firms like Accenture, Microsoft, and Adobe, which have their innovation centres here. Home-grown efforts on the academic, business, and investor fronts are few. The Chinese government spends 2% of its GDP on research while India’s marks a dismal 0.6%. And its implementation is also far ahead: The country, with its lax privacy standards compared to the rest of the world, is already using facial recognition technology in daily life there already, from buying KFC to boarding planes. Moreover, regular collaboration between Chinese corporates, universities, and the government over the last many years has now begun to pay off for that country. A survey by technical recruiting platform HackerRank ranked Chinese programmers as the world’s best. In recent years, they’ve often won international machine-learning competitions. 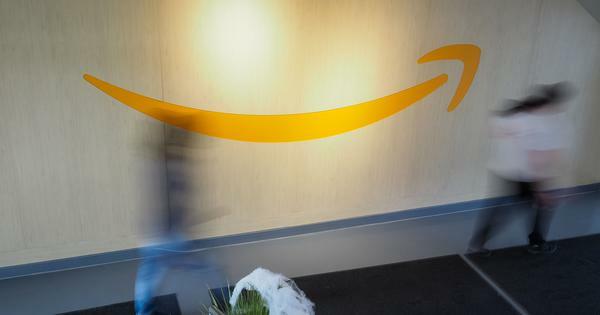 “The return on investment in AI won’t be evident for a while,” said Anindya Ghose, the Heinz Riehl professor of business at New York University. The entire ecosystem – government, companies, employees – needs to brace for this period of limbo as the domains where AI can be used shape up.